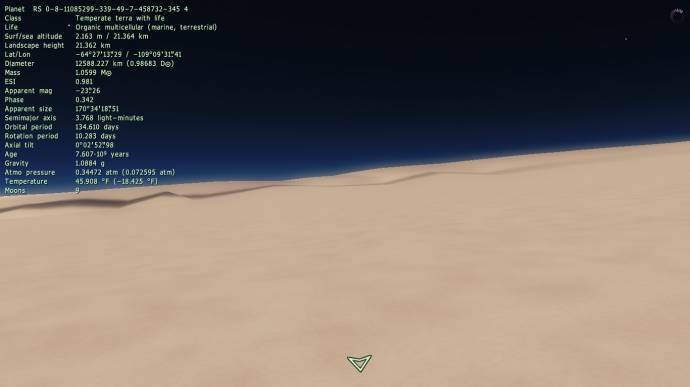 Forum » SpaceEngine » Space Journeys » Challenge: Find the highest volcano! Challenge: Find the highest volcano! This volcano is 11.3km high as you can see in the image! by biggest you mean highest? 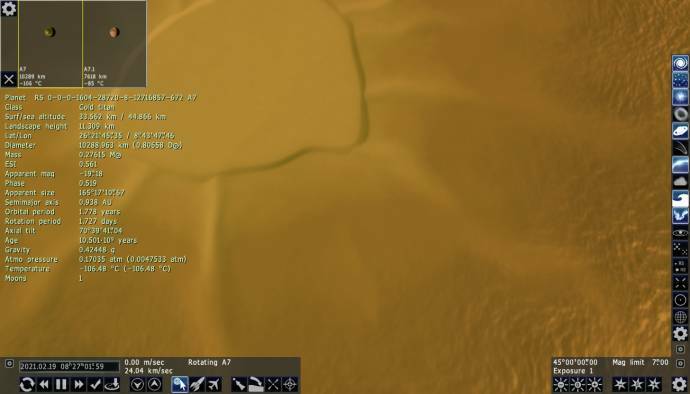 I found a 20 km volcano once, but that was a version ago. BAM! Slightly under 20 km, and dual locked (like pluto and charon) to a garden world that has slightly less grand (13.6 km) equivalents! There are other tall [17 km] volcanoes on this moon, and other 13 km tall ones on the parent planet.